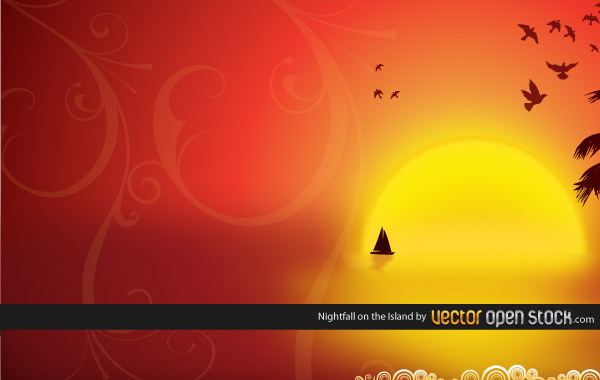 Nightfall landscape with sun shinning and giving place to the night. Nice sailing boat on the horizon. Palm trees and birds flying. Under Creative Commons 3.0 Attribution License. Enjoy! !